Home / Latest TBV News / ‘Sword’ sees the light! 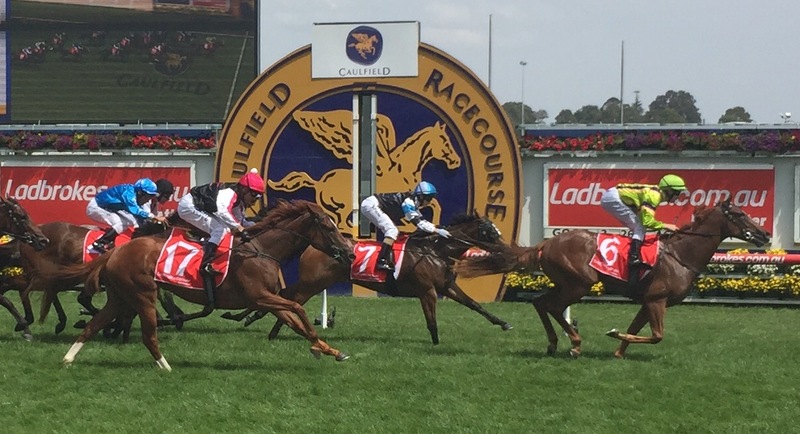 Sword of Light wins the 2016 MRC Blue Diamond Fillies Preview in front of Emphatically. It was a triumph of a different type for prominent Victorian breeders, the Moodie family, when Sword of Light took out the Group 3 Blue Diamond Fillies Preview at Caulfield on Australia Day. The Ellerton-Zahra trained Sword Of Light won by 1.25 lengths from the Ciaron Maher-trained, Lauriston Thoroughbreds’ bred Emphatically. While the speedy Hesket Bloodstock bred filly is obviously packed full of talent, she is certainly no looker according to her breeder. “She has the worst legs you will ever see on a horse,” Jenny Moodie said. “The sales representatives who saw her as a yearling said ‘I guess you will be keeping her’. 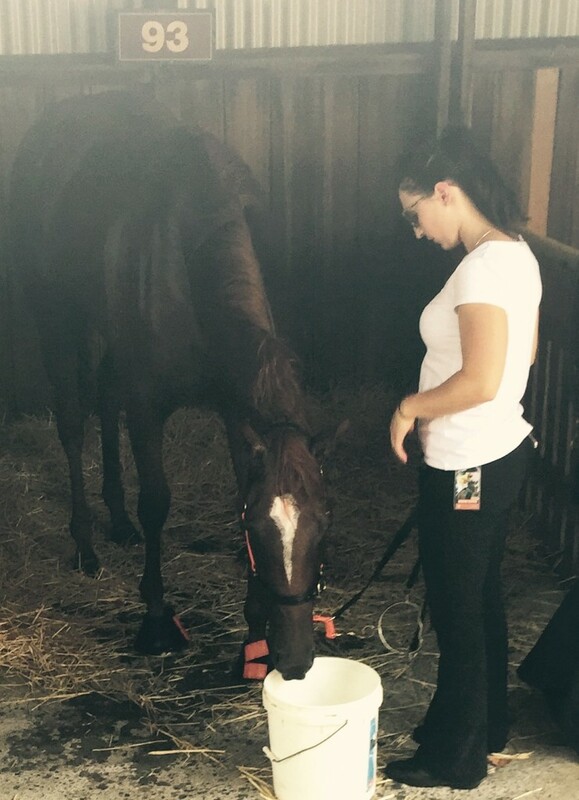 “But she is a little filly with a big heart and obviously a lot of ability. I guess you never a judge a book by its cover,” Jenny said. Sword of Light has a magnificent pedigree page being out of Joyeuse, the sibling to four stakes winners including Group 1 winner Flamberge, recent stakes winner Durendal, Curtana and Sunburnt Land. Their dam Razor Blade, herself a stakes winner, is now enjoying a deserved retirement. Sword of Light’s dam Joyeuse has a yearling and foal both by Exceed and Excel and was covered by Woodside Park’s Written Tycoon last year. For breeding buffs she is line-bred to Allegretta through her sire New Approach (he is a son of Galileo, who is out of Urban Sea, who is in turn out of Allegretta) and through her dam’s sire King’s Best who is a son of Allegretta. Sword of Light is not currently paid up for the $1.5 million Blue Diamond Stakes, but there will certainly now be some serious consideration given to paying a late nomination fee. Co-trainer Mat Ellerton said Sword Of Light will improve off Tuesday’s performance. “She’s a cantankerous little thing, her mother (Joyeuse) was much the same. We trained her,” said Ellerton. Apart from the first two placegetters, there was an eye catching run from Miss Nymeria, a Robbie Griffiths trained debutant. She was bred by Makybe and is a daughter of Stryker who will certainly benefit enormously from the experience. In the colts’ Listed Blue Diamond Preview, Victorian bred two-year-olds came 2nd and 3rd behind Godolphin’s Cohesion. Robbie Griffiths’ Capanello (bred by Eliza Park International) was runner up, while Peter Moody trained El Venetian flashed home for third. He is a son of promising first crop Victorian sire Moshe (standing at Eliza Park International).